Many thanks for this Feature of my painting! CONGRATULATIONS! This incredible piece has been FEATURED on the homepage of the FAA Group, Los Angeles Artist Group, 6/6/2018! I also invite you to post it in the Features Discussion thread for posterity or any other thread that fits! I love the imagery here! This is fabulous! I want this as a puzzle! Aloha! 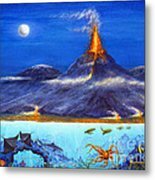 I lived on Hawaii Island for 3 year and have had frequent experiences with Pele and Kiluea.I have taken many photographs and some videos of the lava, but none are as engaging as your painting! L/F/ pinned/tweeted! 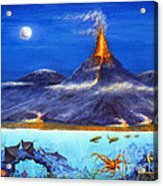 PS, The lower portion of this painting is my best underwater scene and it is available as a panorama "Hawaii Sea Life" here on FAA. I love this image, having just visited Hawaii for the first time recently! So much to see - beauty ! And I learned to scuba dive in Hawaii -- perfect place for it...as you can see! BRILLIANT! 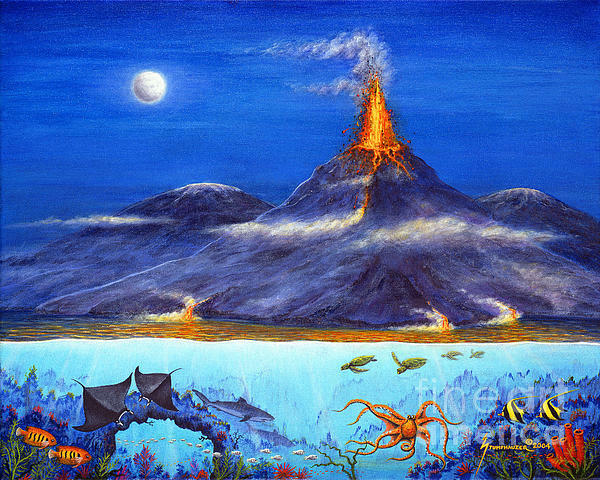 I lived on the big island for 3 years and I was always on the volcano or in the ocean! L/F/pinned/tweeted/voted!! Thanks Mike! This oil painting sold on Friday...and the buyer also bought a 6 ft. metal wall sculpture of just the underwater scene. Sharon, thank you so much! This is my complex original oil painting of a major eruption of Kilauea volcano at Volcanoes National Park on the Big Island of Hawaii. Kilauea is the most active volcano on earth. 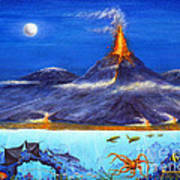 It is night; lava and rock are shooting into the sky and lava pours into the sea. I have painted a dynamic underwater scene as well. I have seen all this sea life scuba diving on Hawaii except, fortunately, for the tiger shark in the background! In addition, I have painted my own portrait as the man in the moon! This art would fit many home and workplace decors and make a great gift!